Drag queens, booze, and bingo; an unlikely combination that makes for an evening of fabulous fun. Every month, North Texas Drag Bingo hosts bingo games at different bars across north Texas. 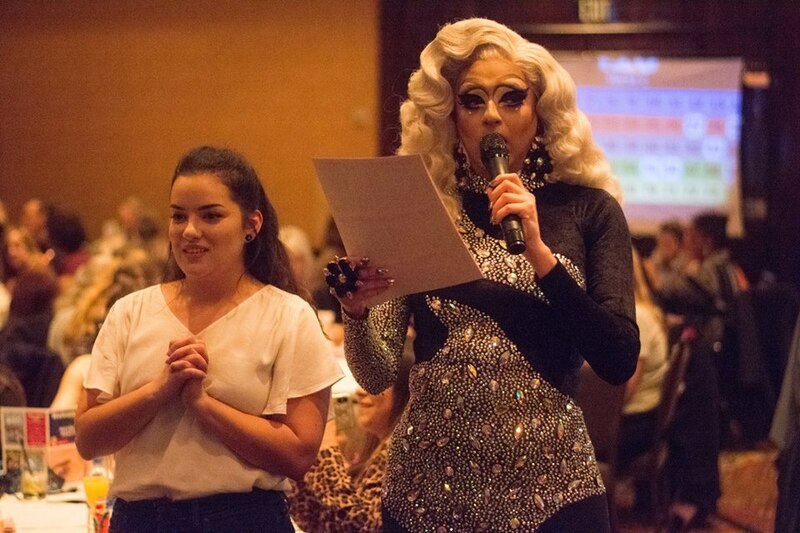 In March, VNYL Night Club in The Shops at Legacy will be hosting drag queen bingo benefitting LGBTQ+ resources in north Texas, including Dallas Hope Charities, Denton Pride Foundation and North Texas Pride Foundation. At Drag Bingo, general admission participants receive play cards for 10 bingo games. VIP ticket holders are allowed to reserve tables and are invited to a drag preshow featuring the bingo-officiating queens. VIP tickets also include drinks. All guests are encouraged to arrive dressed in their most fabulous attire. During Drag Bingo, audience participation with the performing queens is encouraged, with a specific set of rules to adhere to when certain letter-number combinations are called, plus, ticket holders can also send their friends to “Queen Jail,” where they will be released upon receipt of a cash donation. You don’t have to be a member of the LGBTQ+ community in order to play Drag Bingo. Each month, people of all genders, races, and orientations gather together for the delightfully queer festivities which alternate between Plano and Denton. The only rule is to have fun! Tipping the queens is also strongly encouraged. North Texas Drag Bingo will host their next Plano event on March 10 at VNYL Night Club in The Shops at Legacy. Tickets can be purchased here.